Many growers of Petit-Goâve, harshly criticized the local office of the United Nations Food and Agriculture Organization (FAO) for a bad seed sharing. Although some farmers congratulate and thank FAO for its support, many others are raising their voices against the way FAO distributes seeds at the commune level. 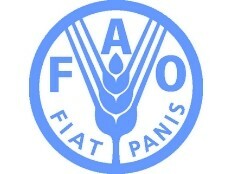 According to them, much of the agricultural inputs are sometimes consumed by certain beneficiaries or sold by others… They blame the FAO to have distributed seeds in the wrong location, claiming that it is “waste” and that the localities known for the cultivation of yams, bananas and cassava are excluded from the distribution. They ask the local office of the FAO, to correct these anomalies and to hear the voice of the peasant majority. Officials of the local office of the FAO refused to respond to the press on this subject.